Chandigarh: Kids can now watch cartoon films while undergoing Magnetic Resonance Imaging (MRI) which otherwise causes anxiety and distress among them, at times forcing doctors to use sedatives. Post Graduate Institute of Medical Education and Research (PGIMER) here has installed a Kitten MRI, especially for paediatric patients. Not available elsewhere in India, the machine, imported from the Netherlands, has been set up at a cost of Rs 13 crore. “This is the first such kind of a facility we have here in India,” said Dr N Khandelwal, Head of the Department of Radiology, PGIMER, adding that thanks to it, children can now watch cartoon films while undergoing the procedure. “An effort has been made to create a children-friendly ambience through Kitten MRI for good results,” he said. In this facility, children will be exposed to the environment of MRI scanning before they actually undergo the scan. In addition, they will also be given the option to pick and choose their favourite cartoon shows during the procedure, said a PGIMER spokesman. MRI is a common radiological diagnostic technique used for solving complex diagnostic problems. However, despite being a non-invasive, radiation-free and painless procedure, the MRI machine could be an intimidating sight for most kids, he said. Scientific studies have suggested that children as well as adults experience considerable anxiety and distress during the procedure. “Distress in children while undergoing MRI leads to restlessness, crying, excessive movement, refusal, premature termination of the imaging session or poor quality imaging. 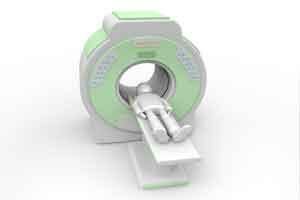 One of the main obstacles to effective MR imaging in children is their inability to lie still under the scanner, the duration of which could range from 20 minutes to an hour,” said the spokesman. Hence, sedation is often considered necessary to ensure good quality MRI scans in children. “For those below five years of age, 100-per cent sedation is needed for a good MRI,” said Khandelwal, adding that with Kitten MRI, it is expected that there will be no need for sedation in 30-35 per cent of the cases. Sedation, however, has its downside with serious risks of respiratory depression and airway obstruction.